In 2017, Universal Orlando Resort announced the permanent closure of the Dragon Challenge attraction in Hogsmeade Village. Buried in the depths of the forest, the rollercoaster was modeled after the second task in Harry Potter and the Goblet of Fire where Harry and the other triwizard competitors try to acquire a golden egg dragons are protecting. Not long afterwards, a second announcement was made where the ride would be replaced with an all-new attraction. And, it's just now, with the construction walls up and cranes standing tall into the sky, that we are start to see the new attraction take shape. Specific deals about the new attraction, set to open in summer 2019, are still unknown. 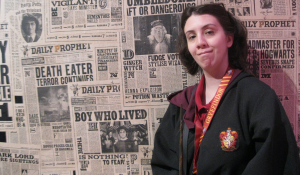 Which leads us to speculate what exactly will be filling in the gap at Hogsmeade Village. What does the track look like? When Universal Orlando Resort's official blog announced the new project back in 2017, the company described the project as, "The new attraction will be one of the most highly-themed coaster experiences we’ve created. It will combine a new level of storytelling with an action-packed adventure…and a few surprises along the way." 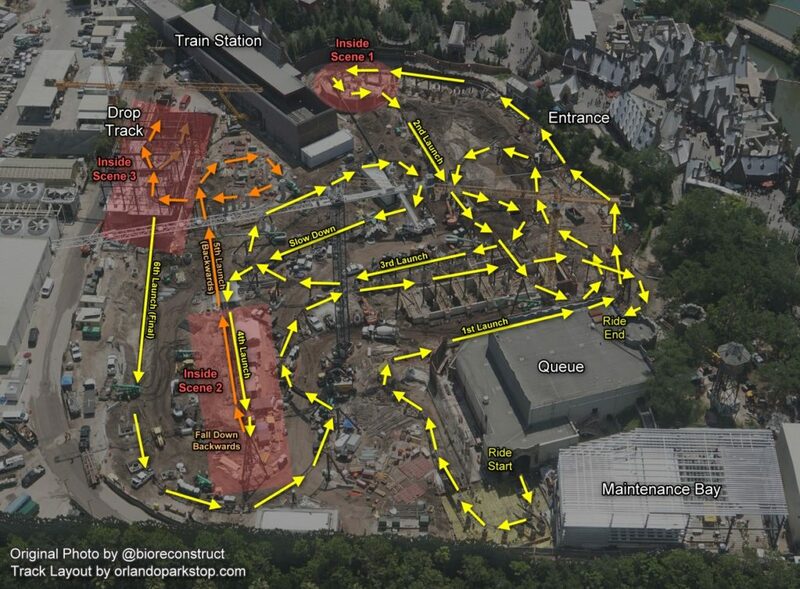 Thanks to Orlando Park Stop's in-depth investigating, we are able to get an idea of the track so far. The attraction is not only full of launches, twists and turns, as well as take place both inside buildings with on-screen storytelling and outside. There's even a rumor of backwards drop. When Universal promised that the attraction would be an immersive experience, they were not kidding. Will the ride be interactive? Back in 2016, Universal acquired new plans for what looked like an interactive wand ride. Guests on an unknown track would use 'wands' in different challenges, where the environment changes depending on how well the riders respond to the different stimuli on the track. 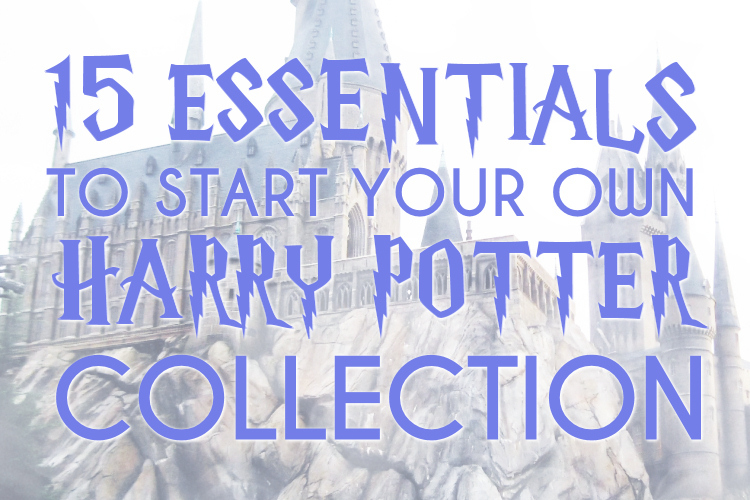 Even if the attraction is not interactive like a game for witches and wizards to cast spells, if the track weaves in and out of buildings, there's no doubt that there might be footage on screens containing characters or magical creatures. For the latter, there's no limit to the animals guests might confront - spiders, thestrals, centaurs, maybe even Grawp? There is no rumor yet on whether or not this key piece of themeing could be apart of a different attraction for another expansion, so we can't count out what interactive elements could be apart of this new ride. What will be the ride's theme? This is where it gets interesting, folks! Because there is a lot of room for speculation, even with the different looks of the track and buildings starting to come together. Some sites and guests heavily believe the ride might be a recreation of The Great Hall, specifically because of the window frame-in-progress we can clearly see in the pictures above. To me, this seems quite far-fetched to be a mere Great Hall attraction as the Hogwarts Castle with Harry Potter and the Forbidden Journey attraction inside sits at the back of Hogsmeade Village. It's questionable to wonder why Universal would create another attraction based merely off of the popular dining hall? 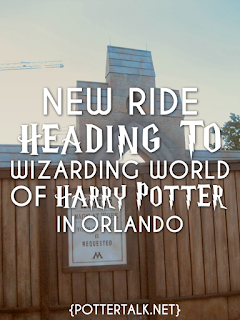 Others are concluding that the ride might be an alternative take on Hagrid's Hut and all of the magical creatures that calls the Forbidden Forest home. 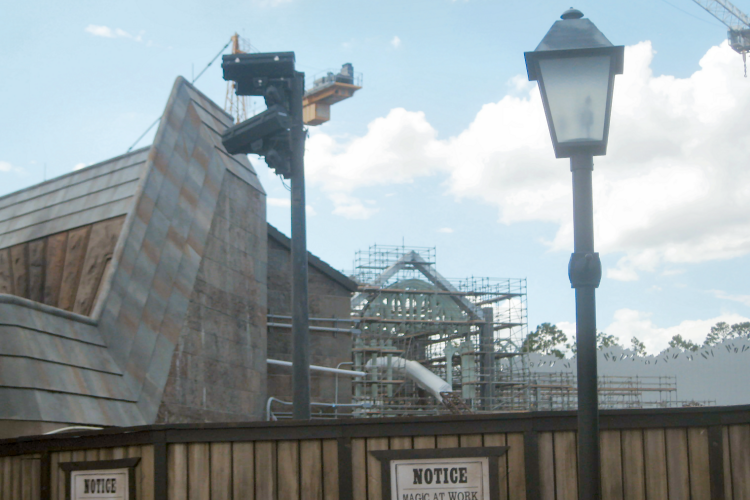 One could see the appeal: guests can currently visit Buckbeak's Flight across from the Hogwarts castle and take a quick thrill ride around Hagrid's Hut. 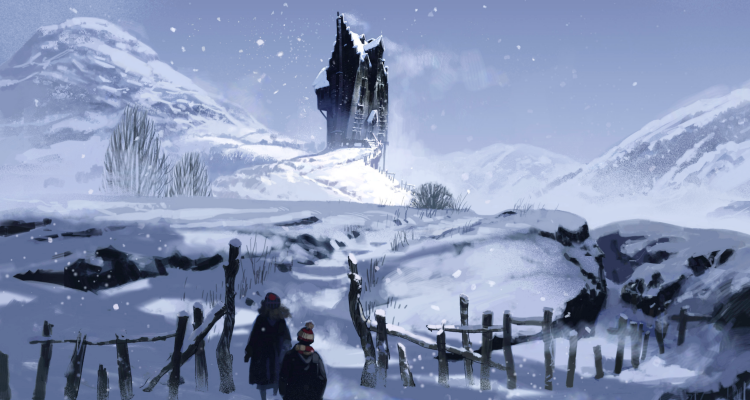 It's a small but popular family-friendly attraction that could be expanded on with entirely new elements and fit the theme of Hogsmeade Village. Could it be the Shrieking Shack? 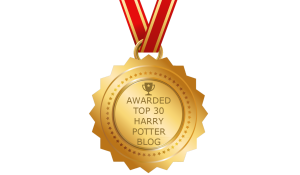 One hottake that I haven't heard yet is the Shrieking Shack, the building where Harry and his friends found out the truth about Sirius Black in Prisoner of Azkaban. The bewitched building is perfect to sit beyond the grounds of the Hogwarts castle, and it wouldn't be surprising if the attraction included immersive elements where guests can perform spells and charms in/around the forest. 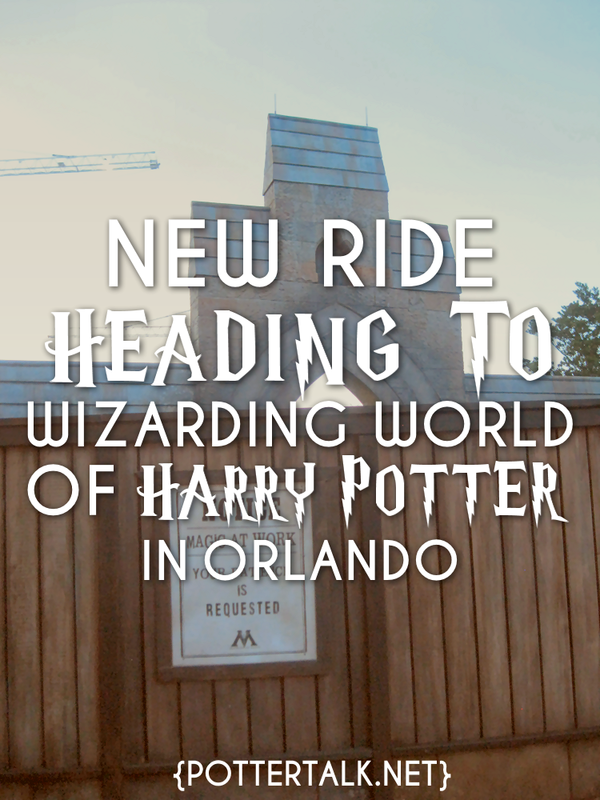 As details continue to emerge, this post will be kept updated about the the exciting future of what will be developing at Wizarding World of Harry Potter: Hogsmeade at Universal Orlando Resort. 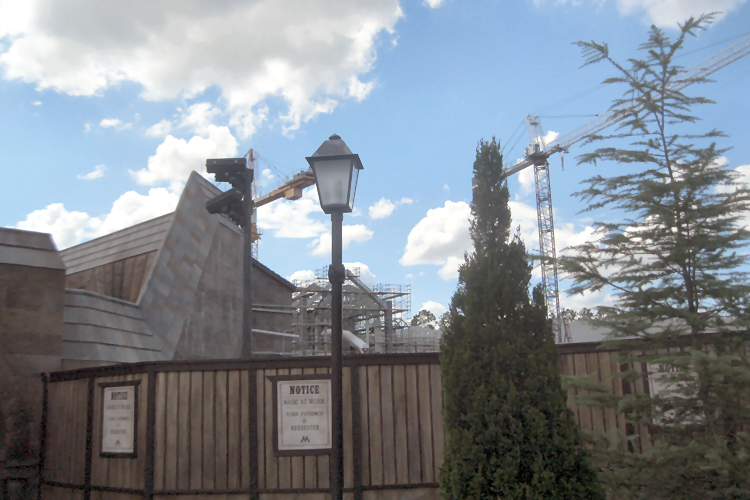 What do you think will be the new ride at Wizarding World of Harry Potter: Hogsmeade? Let me know what your guesses are in the comments below.